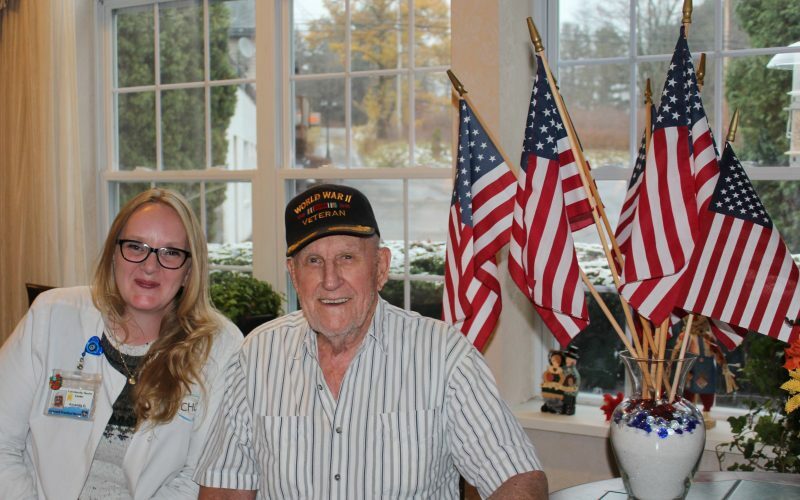 Meet Albert “Al” Bunner, a WWII Veteran and patient served by CHC. Mr. Bunner was in the Navy from 1941 to 1945. Returning to upstate New York after the war, he “peddled milk” on a 400-quart route. He was also employed by the town highway department, and then with the NY Motorcycle Troopers before retirement. Mr. Bunner has been married to the love of his life Lucy for 71 years. They have 4 children.